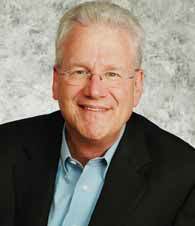 Geoffrey Moore Managing Director, TCG Advisors, Venture Partner, Mohr Davidow Ventures. models to support the practice. With this focus in mind he has written Dealing with Darwin: How Great Companies Innovate at Every Phase of Their Evolution. Also recognized for his expertise in market development and business and investment strategies, as a Venture Partner at Mohr Davidow Ventures he serves as an advisor to many of their portfolio companies by drawing upon best practices derived from his extensive background working with technology startups. the Chasm, Inside the Tornado, The Gorilla Game, and Living on the Fault Line are best sellers and required reading at leading business schools. Highly regarded as a dynamic public speaker, Geoffrey is the founder of The Chasm Group and currently is the managing partner of TCG Advisors. Earlier in his career, he was a principal and partner at Regis McKenna, Inc., a leading high tech marketing strategy and communications company, and for the decade prior, a sales and marketing executive in the software industry. Geoffrey Moore's "Crossing the Chasm"
Innovation at Pixar: The Key to Sustainable Profitability?